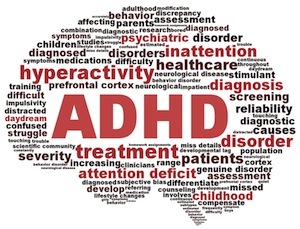 I don’t think an educator can work with children and NOT be informed about ADHD – or at least have this mental health issue impact them in some way. It seems as though this time of year (and also in February) I spend a lot of time discussing 504 and IEP’s with parents and teachers – struggles their student had last year and what we can work to improve in the coming year. Most of the accommodations and modifications involving symptoms of ADHD on some level. Together we sit and talk about coping skills, developmental stages and realistic expectations. I give resources for fidgets, occupational therapy and organizational tools. Eventually I ease the conversation into the title of this post – is it the child? Or the child’s environment? Yes, ADHD is a real neurological disorder. I believe this because I’ve worked with students suffering from its symptoms - students and families that have tried everything, and still inattention or hyperactivity prevail. As adults, let’s be real. Is the school environment we have our students in today realistic and supportive of their developmental stage and the needs they have? At times I really question. I ask teachers, parents and my students – how is your campus structured? What does a student’s typical day look like? How much of that time do they spend sitting? When you, with your adult brain, and adult experiences, are attending a conference, meeting or some other long event – how long does it take for your mind start to wonder? Your legs to get restless, your pencil to start doodling, thoughts of lunch to creep in? How could it possibly be any different for our kids? The observations I am about to make apply to all of us; adult, child and everything in between. The frontal lobe of your student’s brain (where the “behavior regulators”, the “decision makers” the “impulse controllers” all live) are not at the point in development where they have 100% control over the behaviors that are expected in a school setting – the behaviors that they are sometimes punished for. Is it ADHD or the environment? Kids need to move. We all need to move, and move a lot more than we do. They need to be able to use their senses and connect learning to movement. Kids need to yes, expel energy but also interact and learn through experience. Kids need to be social. I heard from one of my students this morning that at their campus they have silent lunch almost every day. Now I am hoping, HOPING, that this kiddo got it twisted, and silent lunch is used as a behavior management tool (unfortunately) and that this isn’t an everyday or even multiple time per week occurrence. Kids need the opportunity to socialize, to talk about kid stuff, to laugh and be silly and play around. I was with my 2 year old nephew quite a bit over the weekend, playing in a park near my house. There is a little window that looks like a drive thru window at a fast food place. Completely on his own, he walks up behind the counter and says – “what can I do for ya?” For a good 15 minutes he “made” me, his mom and other park guests everything from lemonade to pizza. He worked away, taking requests and, ok basically throwing, (hehe) throwing the items over the counter at us. Unprompted he began this imaginary game based on what he saw in this play structure, and (I assume) behaviors he has picked up from others. Kids NEED the opportunity to act and play according to their developmental stage – they need to imagine and run and jump, play with each other. They need a chance to have unstructured "free" time to explore and figure things out, without adult direction. Kids need to see the sky. RECESS. I could write you a novel on my feels about the disappearance of recess time during the school day. With the amount of time kids spend sitting in a desk, sitting in a bus, sitting in front of a screen – they need to be able to see the sky and feel the grass, wood-chips, gravel, WHATEVER. Exercise mid-day enhances learning, improves our bodies ability to recover from stress and encourages (yup, again, sorry…It’s who I am!) social skill development! Mental breaks that involve physical activity are imperative for our students, New Detroit Teacher, it strengthens their ability to covert information to long term memory, reduces stress and gets happy chemicals (dopamine and serotonin) flowing. Kids need variety. From a very young age, most of what we expect of students in school is repetitive and is done sitting at a desk. One thing I LOVE about elementary is that there is variety in the lessons! Elementary teachers are masters of the classroom switch up; circle time, reading corner time, math stations, science experiments – those kids are all over the place! As our students get older, the change of pace seems to become less and less and our students become more and more sedentary. Middle and High School students need variety too, they need projects and activities that get them up and moving, working with others etc. Kids need to be KIDS. If I had to argue - this is the most important, because it really encompasses all of the other points in this post. I stress to my students the level of expectation that the education system has for them is heavy. It’s ok to make mistakes or ask for help. No one is perfect, and I don’t expect my kids to be any different. 2nd graders are going to forget to turn in homework assignments, 4th graders are not going to be master time managers, high schoolers are going to lose (everything) stuff. It’s our job, New Detroit Teacher, to scale the expectations we have, to meet them at their developmental level. Hmmm…sounds like a good plan for my next blog topic – what are appropriate expectations of behavior for each stage of our educational journey? Is it reasonable to ask your 2nd graders to turn in their homework without being prompted? Is it reasonable to require 4th graders to sit in a desk 70% of the day? Weigh in, New Detroit Teacher – I’ll add your thoughts to next week’s post.